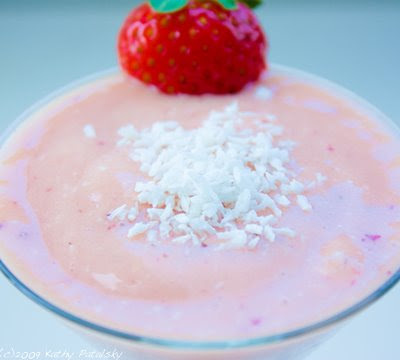 Fresh Strawberry Papaya Coconut Smoothie. Vegan. Sometimes the best culinary creations come by pure accident. 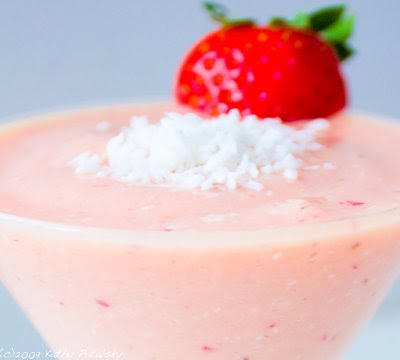 Enter my new Fresh Strawberry Papaya Coconut smoothie. This was a "throw in some of this, add a little of that" recipe invention gone terribly right! "Good" Ingredients. First tip in creating a new smoothie recipe: use high quality ingredients, and half your work is done. I used organic strawberries, a splash of organic lemonade, organic soy milk, high quality papaya chunks and other no-skimp ingredients. 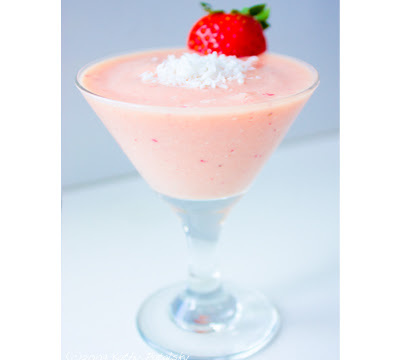 So here is the recipe for this OMG-amazingly dreamy creamy, must-try it, vegan Fresh Strawberry Papaya Coconut Smoothie. 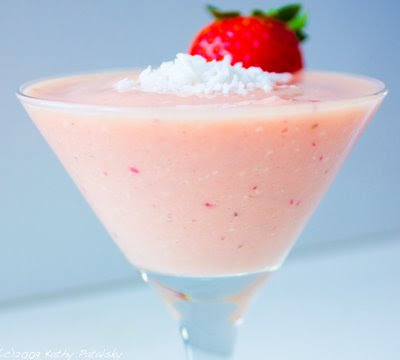 Papaya Coconut Smoothie. I must admit that my favorite go-to smoothie in NYC is Liquiteria's Papaya Paradise. 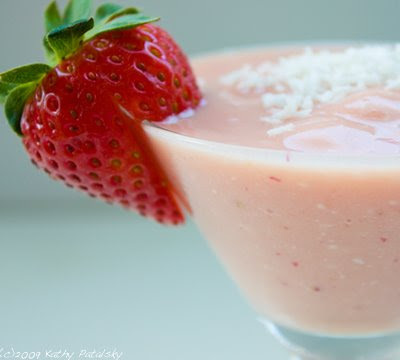 It is blended with papaya, soy milk, coconut and a few more ingredients. I adore it with a scoop of spirulina blended in. So, I had intended to try a at-home version of their masterpiece drink. But, as I usually do, I strayed off the straight path and decided to get a bit creative. 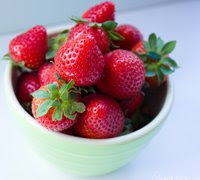 I added in some fresh beautiful organic strawberries, a bit of fresh lemonade and a few more surprises. I didn't know what would pour out of this light pink frothy blender, but it was pure bliss! Bright red specks of the fresh strawberry in each sip really hit this one out of the park and around the corner! It's almost summer..I can use a silly baseball line. Blend all ingredients together, leaving out the fresh strawberries and a few ice cubes. 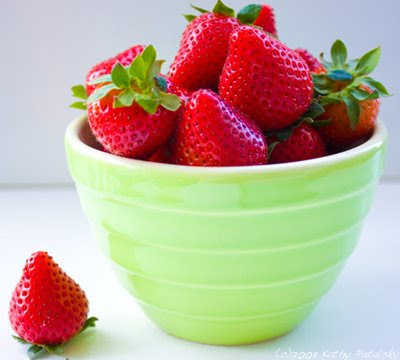 When drink blends smooth, add in strawberries and remaining ice cubes and blend on low for about 10-20 seconds. Get frozen papaya from Trader Joe's. Too thick? Use more soy milk. Too icy? Add some plain yogurt or another banana. Too thin? Add more ice cubes or frozen fruit. 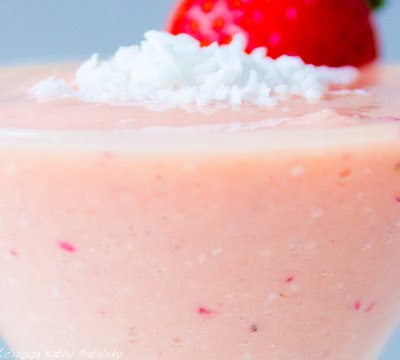 Dessert smoothie craving? Add more agave syrup and/or a scoop of vanilla soy cream to the blender.